The great British TV entertainer Sir Bruce Forsyth has died aged 89. Sir Bruce was an icon of British stage and screen and began his career in the 1940s. It was his classic 1970s game show The Generation Game that cemented his iconic status, along with numerous catchphrases (‘Nice to see you, to see you…Nice!’), but he had a renaissance in the 21st Century when he began hosting BBC1’s Strictly Come Dancing. 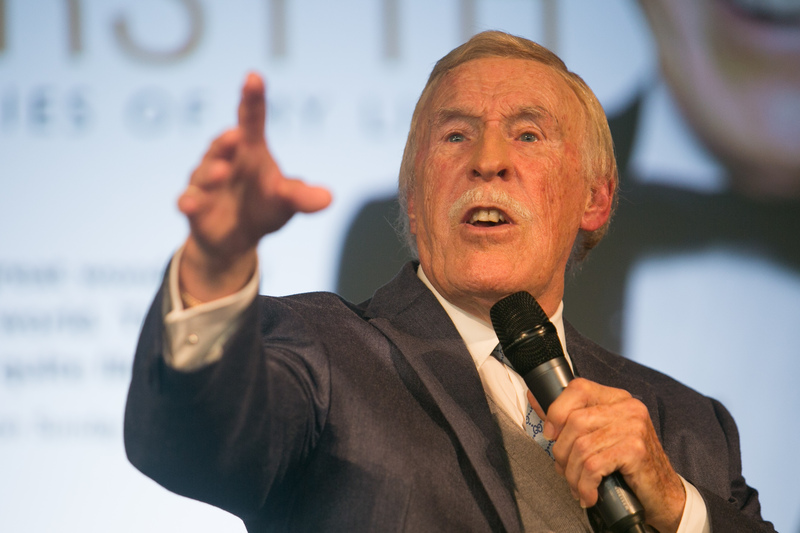 Sir Bruce had battled a number of illnesses in the past two years and had to relinquish hosting duties on Strictly. “With a twinkle in his eye, he responded ‘I’ve been very, very busy… being ill!’ Unfortunately, not long after this, his health deteriorated and he contracted bronchial pneumonia. “The family would like to express their thanks to the many people who have sent cards and letters to Bruce wishing him well over his long illness and know that they will share in part, the great, great loss they feel. Sir Bruce was taken to hospital in March and spent five nights in intensive care at St Peter’s Hospital in Surrey after developing a severe chest infection, according to reports. He underwent surgery in 2015 after he suffered two aneurysms, which were discovered when tests were carried out following a fall at his Surrey home. The veteran entertainer has been out of the limelight for a while and last year was too frail to attend the funerals of close friends Ronnie Corbett and Sir Terry Wogan. He announced that he was leaving Strictly Come Dancing in April 2014, after nearly 10 years as the presenter of the show. The couple married in 1983 and have remained devoted to each other ever since. Lady Wilnelia last year told the Mail On Sunday’s You magazine about her husband’s health struggles following his life-saving surgery. She said she found it difficult to think about a future without the man she’d been married to for 36 years. “I don’t think about it too much. I hope I’ll be prepared somehow, but it doesn’t feel real. He’s the man I fell in love with because his brain is there. The Puerto Rican 1975 Miss World winner spoke about how he enjoyed spending time with his grandchildren and still had a keen interest in TV, watching the Olympics, The Apprentice and Question Time.